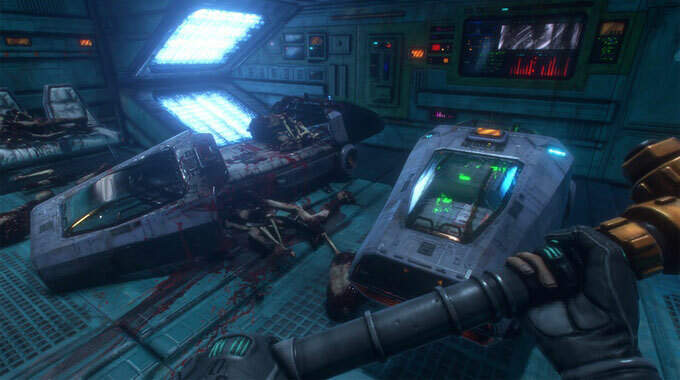 The System Shock remake has launched on Kickstarter, and you can even download a free demo on Steam to check it out. 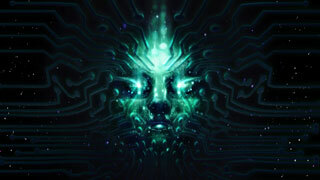 System Shock is one of those games that represents a watershed moment in the medium. It was one of the first games that encouraged first-person exploration with a story told through audio logs and other items found throughout the game world. We knew there was a remastered version planned for Kickstarter by Nightdive Studios, and yesterday, that campaign kicked off. 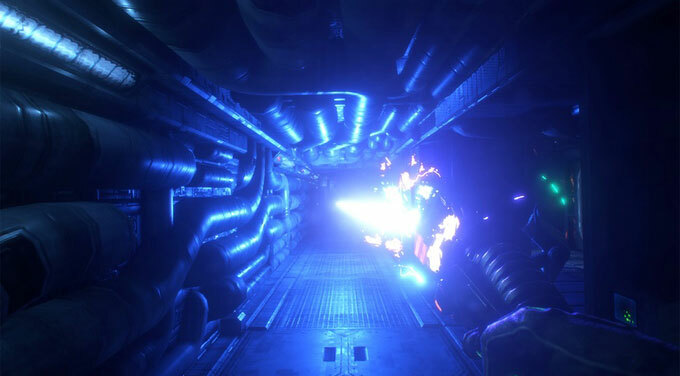 Promising "A modern take on System Shock, a faithful reboot," the Kickstarter campaign says that it will bring Citadel Station to life not as it was, but the way we all remember it being. To that end, they've enlisted Terri Brosius, the original voice of SHODAN to reprise her role with all new voice-overs. They're also recording an entirely new score composed by Jonathan Pero, and the company is trying to have that score performed by Prague's FILMharmonic Orchestra - the same group that recorded the score for Civilization V. They've also brought in Chris Avellone to help polish up the narrative. The campaign is off to a big start, having raised over $415,000 of its $900,000 goal in the first day. Some of the larger rewards include having game characters named after you, a statue of Citadel Station, and even the chance to be immortalized as a corpse. The $5,000 pledge includes a custom Razer Blade gaming laptop laser printed with System Shock artwork. The demo (Get it on Steam here)is a pre-alpha build that Nightdive is making available to show people what they have in mind for the game. It's short, and it's only a proof of concept, so almost anything in it could change dramatically before the game launches. Still, it's nice to see something playable on a Kickstarter. If you can't wait until it comes out and want to back the Kickstarter, you can find it right here. The System Shock reboot is planned to launch around Holiday 2017.